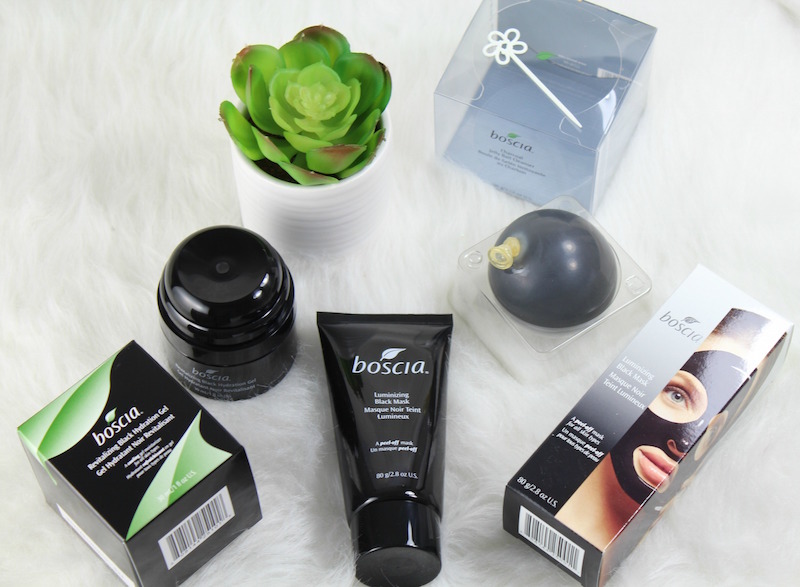 Boscia Charcoal Pore Perfection Skin Treatments! 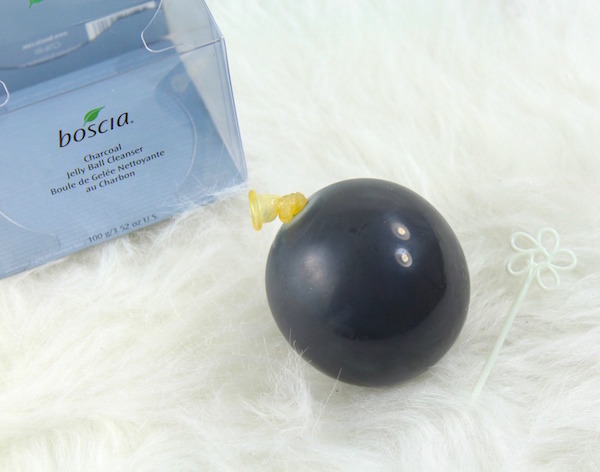 Boscia has managed to take the relatively mundane process of washing your face and making it infinitely more fun with the introduction of the Charcoal Jelly Ball Cleanser. 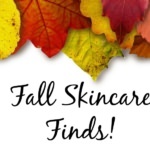 Looking for more pore perfecting products? Boscia has you covered! 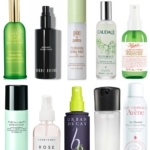 Boscia’s Pore Perfecting line has a wide range of products. I’d never tried any of them, so when I was sent a trio that included the Charcoal Jelly Ball Cleanser, Luminizing Black Mask and Revitalizing Black Hydration Gel, I was eager to get going. Activated charcoal is a great ingredient to add to skin care; it’s thought that the charcoal attracts dirt and other impurities. 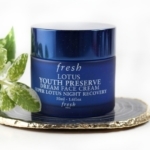 Benefits include purifying, oil absorption and getting skin to glow. The charcoal products I tried can be used by all skin types, but in my experience, combination/oily/congested skins may find the most benefits. The Charcoal Jelly Ball Cleanser is made of activated black bamboo charcoal and is easily the most unique facial cleanser I’ve tried. It comes in a balloon, yes you read that right, that you pierce with a cute toothpick (provided) before applying. Once you’ve done that, and peeled away the latex wrapper, you find the jelly ball. From there, just wet and scrub. My skin feels extremely clean after using the Charcoal Jelly Ball Cleanser and isn’t overly dry or stripped. It does seem to wear down quite quickly, but the experience of using it would be worth it in my opinion. Because it’s solid, you could put it in a Zip-Loc and take it with you to the gym or in your travel bag. Definitely worth a try! The Luminizing Black Mask uses black charcoal to clarify, detox, brighten and smooth skin. I found that applying a thick layer with a brush worked best. Once applied, relax for about 25 minutes and then peel off. It took a little bit of effort to peel; any little hairs you have on your face will come with it. Although the instructions state that blackheads are removed, they might be, but that’s not a skin issue that I have. Upon removal, though, my skin was glowing! This would be a great mask any time of year, but it’s refreshing during the hot summer months. If using a light hydrator is a must for you, the Revitalizing Black Hydration Gel is a good one to try. In the summer, I always switch to a lighter moisturizer; my skin is more combination and just doesn’t want a rich, creamy formula. 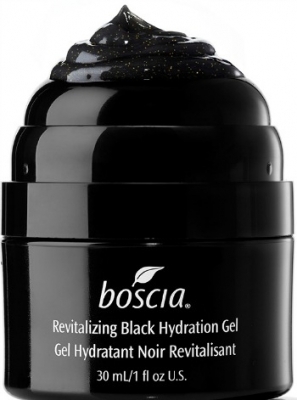 The Revitalizing Black Hydration Gel is a light and refreshing gel; it really feels great on the skin. I like the formula, too, which includes Activated Charcoal, Glycolic Acid, Vitamin C and Artichoke Leaf Extract, which helps minimize pores. I also like the fact that the Revitalizing Black Hydration Gel comes in an airless pump container. I’ll keep using this moisturizer for sure! 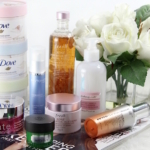 What Boscia products have you tried? Let me know in the comments!